Calling all experienced and qualified teachers of Logistics. If you have wanted to teach in the UAE, now is your chance. My client is a leading government entity in the United Arab Emirates. It covers campuses across all the UAE. I am seeking qualified and experienced Logistics Teachers. This is an exciting job to help students that are on the Diploma and Higher Diploma Courses. 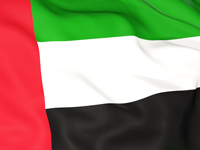 As a teacher of Logistics, you will be required to adapt and work to the local UAE working environment and local anomalies, to ensure full integration with Emirati counterparts. You will also be required to teach and assess students and develop teaching and assessment resources. It will be your responsibility to maintain students and course records to ensure students are working to their full potential. If students are behind or require further assistance you will be required to help to ensure they are able to achieve the very best grades they are capable of producing. **Responsible for planning, managing and improving the learning of students, working with other team members. **In collaboration with Lead Teachers to implement and continually improve curriculum, teaching, learning and assessment strategies. **To manage the learning of the students, maintaining records, collaborating with other teachers and promoting staff development in a pro-active manner. **Responsible for planning and participating in professional development opportunities to further their own knowledge, skills and abilities. **To manage all facilities and activities related to achieving student learning. **To play a leadership role in role-modelling behaviour, attitudes, and learning behaviours for students. **Responsible for achieving the set learning outcomes in students, and therefore supervise all student activities and processes to ensure outcomes. **To develop and maintain teaching materials and assist with program quality assurance processes. **Teachers liaise with Student Counselors, as required. Communicate progress and performance to students and school management/administration. Hurry and apply now if you have what it takes to teach Logistics in the UAE. It is FREE to register with SeekTeacher. Interviews taking place in the next few weeks!